It cannot be denied that mortgage interest rates are very low at present. Plus, although they are rising, home prices are still affordable. 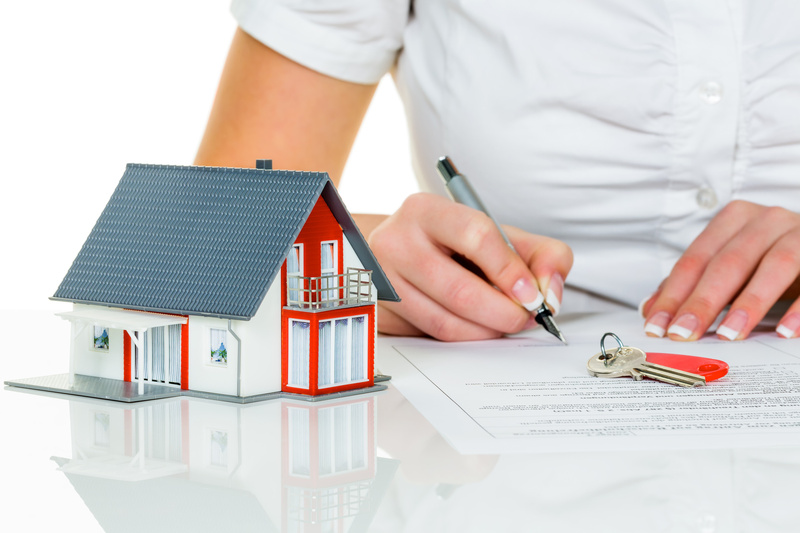 However, it is important to understand that these two factors do not automatically make any property a good purchase. The buyers currently hold all the cards. However, you must make sure that you make careful considerations before you buy. The potential issues you may uncover when researching a property could be serious. Some of these are fixable, others tell you to look elsewhere. There are two factors in particular to be aware of. Firstly, always look at the neighborhood. Does it look like everybody is leaving? Speak to others in the street and ask them about the community. Also check out the land. If you find that the yard slopes downward towards the property, it is possible that rainwater would run down it and damage the foundations. You should also look into whether there are any weird smells in and out of the property. Bugs and insects are a bad sign as well. This is also something to ask others in the neighborhood about as they are likely to know all about past insect, rodent or other pests problems. Then, you need to look into things that may have caused damage to the property that are very hard to fix. Make sure you check for signs of the presence of water damage, pest damage, asbestos, mold and faulty wiring. Unfortunately, it can be very difficult to spot any of these problems. It is very much possible that the sellers don’t know these problems exist. Those home owners that do know the issues are there will try to keep them hidden. All that needs to be done in order to hide problems like this is a bit of cleaning and reducing power usage. To find out whether these issues are there, you can organize a professional home inspection, but you can also speak to community members. They will quickly tell you whether any of these problems have occurred in the area in the past. Usually, problems like pests, water damage and mold don’t occur in just one home. At the end of the day, only you can decide whether or not you should purchase a property. Additionally, if you find that there are certain problems, you could use this as a negotiating point to drive the price down. However, if you find you have purchased a true money pit property, or that it is impossible to sell it at a later date, then is it really worth it? A home is a place where someone, either you or a tenant, will have to live and this means it does have to be an enjoyable property to seem extent. Naturally, you do also have to look at the property itself, but the importance of looking into the neighborhood cannot be denied either. All you really have to do in order to find out whether the property itself is any good is hire a property inspector. When it comes to checking out the neighborhood, however, it isn’t so much about cold, hard data, but rather about personal feelings and emotions and whether or not you like it. Buying a home is a joyful period in a person’s life. The problem, however, is that because we want to buy a home so badly, we sometimes don’t see the flaws the property has. Yes, some properties seem to just call to us, but if they have certain issues, you should still walk away. Hopefully, the information below will show you some of the things to be aware of. First of all, check the neighborhood. This is of absolute vital importance. Is it a growing community, or is it in decline? Signs of decline include numerous boarded up businesses and foreclosed homes. Make sure you visit the area on two different occasions. This will also give you an idea of what traffic is like at different points. Purposely visit the neighborhood once at night, just to get a feel for what the streets are like at that particular time. Additionally, make sure the police provide you with a crime report on the area. After all is said and done, only you can truly decide whether or not you want to purchase a home. However, make sure you exert due diligence at all times. You should never purchase a property that you didn’t have reviewed by a professional inspector. If any issues are found, it is up to you to decide whether you then want to step away from the property, or whether you want to use it as a bargaining tool to bring down the price. Do be careful with this, however, as you don’t want to end up purchasing a money pit. Plenty of folks have been investing in real estate today so if you’re planning to sell your house, the perfect time is now. The only dilemma here is that it’s going to be tough to sell a property. You may have seen lots of articles stating that selling a house is simple or you have seen some adverts telling you that they could sell your house within a specific amount of time. In case you’re planning to bring down the asking value of the house, it’ll be a lot more appealing to the customers, but this isn’t a good thing to do. Even though the supply outstrips the demand in the real estate market, there are still tons of methods to sell your house. We’ll give some guidelines on the best way to do this efficiently. First impression lasts so your house must have a particular punch when a customer sees it the very first time. 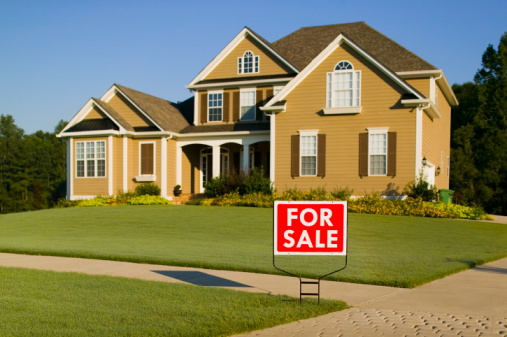 You should put yourself in the shoes of a customer and assess the curb appeal of your house. Head out into the streets and have a look at your house to find out all of its shortcomings. Is it desirable enough to provide a good impression to a possible customer or does it need maintenance that you’ve always been postponing? The first thing that a possible buyer would see is the exterior of your house and surprisingly, most of them take notice on how their new house would look like in the outside. Make the required preparations and fix anything that needs fixing. You will have to make the necessary enhancements inside and outside the house to draw in the buyers. They always want a house that is already complete and they will not need to make any repairs. If you are the seller, you should be sure that anything that needs fixing will probably be fixed. Even so, you cannot over improve the house because there are some upgrades that won’t make a huge difference in the value of your property. Improvements can undoubtedly raise the value of your house and its chances to be sold, but you can’t make an improvement that would not pay in the end. You need to do your research and invest in the things that may offer the best return. Some individuals will claim that adding some design to your home will make it appealing, but personal items, collectibles and other art works have to be eliminated because they will not help you sell your property. The best thing that you could actually do is to remove all of them and only leave the essential furniture to make the rooms a bit larger. The goal is to allow the customers to visualize or picture themselves in your house. They will start pointing at every section of your house while visualizing what they want to place there if they will buy your home so you should make certain that personal items and other unneeded items will be eliminated to allow them to visualize. In case you’re planning to sell a home in [LOCATION], you must be sure that you will put a competitive price for the house. If you’ll put a low price, it is going to be similar to leaving money on the table and if you put a high price, the customers will definitely overlook it. 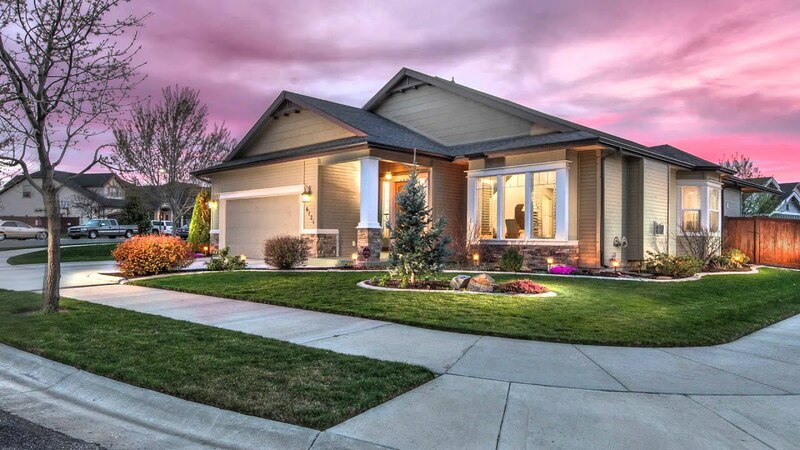 When you’re speaking about home buying, the buyers will absolutely take a look at houses which are similar with yours and compare prices and if the house is too costly, they won’t buy it. You have to remember that the majority of the buyers are counting on home financing so they will not really think about a house that is too costly. If the value is low, selling the house will not be too hard, but your investments will not be returned. You need to know that it’s quite difficult to sell a house without the help of professionals and it’s going to also be a bad idea to simply do this on your own. You do not have the knowledge and experience to deal with everything so it’s going to not be an excellent idea to sell your house without hiring a professional real estate agent. If you’ll try to do this on your own, there is a big chance that your house will not be sold or you won’t obtain an excellent deal from it. You may get lucky to find a great deal for your house, but you need to remember that selling a property is not about luck since huge money is at stake. You should take a look at the help of an agent and permit them to do everything for you. You’ll have to pay them for their services, but it’s better than acquiring a poor deal. Before you opt to sell your property, you must think about all of these simple recommendations so you won’t make an error. Selling a house is quite difficult so you must know anything and everything about the real estate market. Buying a home is a joyful period in a person’s life. However, because we are eager to make the purchase, we sometimes fail to notice see the various defects of a property. Yes, some properties seem to just call to us, but if they have certain issues, you should still walk away. Some of the things you should be aware of are below. The first thing is that you must think twice before you purchase a “fixer upper.” These properties are listed as being incredibly cheap, which does make them attractive. Many times, we believe that we can fix the problems ourselves. However, you are likely to find that you will need to bring in qualified professionals to really do the work. The fees of these professionals may be much higher than you had expected. You should also be wary of properties that have had DIY fixes. With all the best intentions, things that have been done without professional help can look great, but are often full of problems. You are now ready to see whether the property was looked after properly. You should be able to tell whether it was maintained regularly. If it looks run down from the outside, it is likely that the inside isn’t in a much better condition either. Check the wiring as well. Although you probably won’t be able to identify all of the problems yourself, some red flags are easy to spot. Flickering lights and hot outlets are major red flags. Owners may be trying to hide a problem if you notice that single walls have been painted very recently. Next, look closely at the windows. Look at whether the windows have mold or condensation or are hard to open; this could be a sign of expensive problems.If an owner declares certain rooms as “off limit”, then go find a different home to buy. Additionally, if you notice that any structural work has been done, such as the removal of walls or floors, you need to find out whether that work was done properly by a qualified architect. When push comes to shove, you are the only one who can work out whether or not you want to purchase a property. Plus, it is certainly true that a home with problems is often a home that can be sold at an even greater discount. However, if you find you have purchased a true money pit property, or that it is impossible to sell it at a later date, then is it really worth it? Do always remember that a house is more than just bricks and mortar, but rather a place for people to build memories in, and those should be good memories. It goes without saying that checking the condition of the property itself is very important, but the area it is in must be focused on as well. In terms of the condition of the property, you can simply ask a property inspector to come and check it out, after all. When it comes to the neighborhood, however, you need to have a personal feel, something that cannot be achieved by a check box list. The first thing is to find something with a good return on investment. Real estate is an illiquid asset that require you to take money out of your liquid assets. What you should look for is to get the same or similar rate of return. In other words, you want a good cash flow property, and not a property that will only cost you more money. Applying this to real estate investment, what you are looking for is not appreciation, but rather cash flow. Cash flow is what actually comes into your bank account from your rental properties after you have met your financial obligations. What you should do is leave your cash flow alone, and keep that as savings as much as possible. Your cash flow will also go up as rent prices go up. If your mortgage payments stay the same, then your cash flow will be even better. You should make sure that at least 20% of the money you get is cash flow. Spend some time using the internet to work out exactly how much your cash flow is. You may want to consider investing through a REIT (real estate investment rrust). Although this means you don’t need as much money to get started, it also means the returns are smaller. When you sign up with a REIT, your money is invested in real estate corporations. This includes things such as shopping malls and industrial complexes. You can find the value of a REIT on the stock exchange and NASDAQ. A REIT, essentially, is like a mutual fund that only looks at real estate. Before investing in a REIT, there are a few things to learn about. The economic conditions of the key holdings is one. Find out how the REIT has performed in the past. You should also consider their future plans. Find out who the manager is and what they history is. Lastly, you need to look into the current state of the real estate market and how the REIT is expected to respond to that. It can be very profitable to invest in rental properties. However, you do need to learn about the different rules and processes before you get started. Rental properties in particular are still overlooked by many investors, even though they can bring in an excellent return. First of all, you want to get a return on your investment. Real estate is an illiquid asset that require you to take money out of your liquid assets. Try to make sure that the return rate you get is the same as what it was on your liquid assets. In other words, you are looking for a property with potential cash flow, rather than a money pit. You also need to be a manager and negotiator and have people skills. Then, you also need to ensure you are able to do repair work, or know the people who can do it for you. Last but not least, make sure you hire a property inspector. In most cases, if you invest in property, you will become a landlord. This means that you must learn about being a landlord and how to find tenants that are desirable. It cannot be stressed enough how important it is to have money to spend in order to make more money. You will be unlikely to succeed if you don’t have any money of your own. Now that you are ready to get started, you need to look into the location. There is all sorts to find out online, through local libraries and on town board meetings. You must get to know the location as it is at present as well as looking into future development plans. If you want to make good real estate investments, these are the things you should look for. You want a property that requires minimal maintenance and management. Unfortunately, it can be quite hard to find properties like this. It requires a lot of time and effort on your part. You will need to look into all your available options and research and analyze them properly. In many cases, someone who wants to invest in real estate is impatient to actually get started. You need to be very careful to not jump into a poor investment just because you cannot find something good straightaway. Unfortunately, a poor investment decision in the world of real estate can be incredibly costly and it will be hard, if not impossible, to ever see a positive return.